The Story: Using voodoo, serial killer Charles Lee Ray transfers his body into a “Good Guy” doll before his execution. 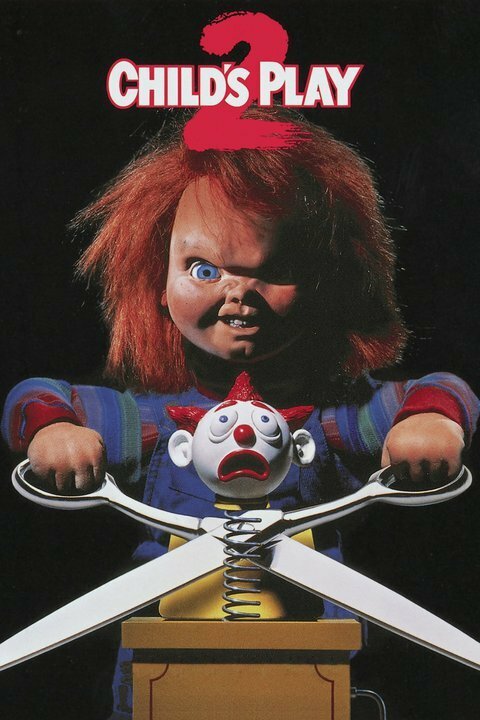 The toy is bought for a young child, and “Chucky” continues his murder spree as a living doll. Notes: This is the first of the series, followed by Child’s Play 2. A later sequel, Bride of Chucky, will have minor cameos of the claws of Freddy Krueger, the masks of Michael Myers and Jason Vorhees, and the chainsaw of Leatherface. Those crosses with A Nightmare on Elm Street, Halloween, Friday the 13th, and Texas Chainsaw Massacre bring Child’s Play into the Horror Universe. This film was remade in 1993 as Zapatlela. This film has been referenced as fiction, paid homage to, and spoofed numerous times in other films and on television. The Story: Following the events of two years earlier, Andy, the little boy from the first film, is in foster care after his mother went insane. Meanwhile, the toy company decides the best way to recover from bad publicity is to rebuild the same killer toy, which is still possessed by Chucky. Chucky revives in the doll, and goes after Andy to seek revenge. Notes: This is a sequel to Child’s Play and is followed by Child’s Play 3. This film is referenced as fictional or paid homage to numerous times in other films and on television. It was also spoofed in the Goosebumps episode “Night of the Living Dummy II” in which Slappy the Dummy is a parody of Chucky. Notes: Chucky is brought in by the Katrina Protocol. This film occurs between Child’s Play 3 and Seed of Chucky. At the evidence locker where the Chucky doll is kept, are also the masks of Jason Voorhees and Michael Myers, the glove of Freddy Krueger, and the chainsaw of Leatherface. This brings Halloween into the Horror Universe. The others have already been brought in. Even though it was meant as a quick prop gag, this quick film moment connected five of the most famous modern horror icons. This film has been referenced as fictional and paid homage to numerous times in other films and on television. It was also spoofed on the Roseanne Show. The Story: Cassie Hack teams up with Chucky for a mutual cause. Notes: In the story, Chucky compares himself (as being better) to Freddy (Krueger), Jason (Voorhees), and Michael (Myers). Cassie once again meets Laura Loch, who says her spells backwards just like John Zatara and his daughter Zatanna from DC Comics. 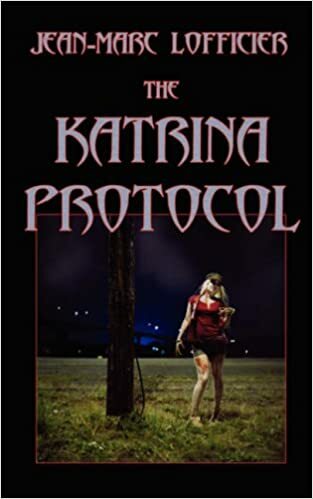 The Story: Cassie heads to New Orleans to stop Victor Crowley. Notes: Crowley is the slasher from the Hatchet films. Cassie also refers to her previous encounter with Chucky from the Child’s Play films. The Story: A group of teens head out for a weekend in a cabin in the woods, not knowing that they have been chosen as sacrifices to an ancient deity in order to save the world from his wrath. Notes: This film exposes the secret truth behind modern horror. Behind it all is a secret organization, chosen to sacrifice youth to ancient gods. All of the above named crossovers have been linked in this film, and revealed to be part of this secret conspiracy. Most of the crossovers above come from the monsters and artifacts contained in the facility. While some of the monsters and artifacts are clearly from certain films above, many are based on certain types of horror films, in which case I included the more well-known of these film types. I recommend the well-researched Cabin in the Woods Wiki for a more detailed listing of the monsters and their inspirations. Note that I included in the above crossovers some monsters that only appeared in the official novelization and the official Universal Theme Park attraction tie-in. With this film, I break one of my major rules of crossover connecting. Though some of the crosses are direct crosses, like Evil Dead and Left 4 Dead, most of them are only connected because the films represent the more well-known films of the trope from which a certain monster comes. Normally, I would not count something that is “like something from”, but there is dialogue within the film that makes me break my rule. In one scene, referring to the monsters, security officer Daniel Truman says “They’re like something from a nightmare.” Lin, a head scientist, responds, “No, they’re something nightmares are from.” She goes on to explain that these monsters are the creations of the Ancient Ones, having been around since the beginning, and different cultures have told stories that interpret them in different ways. Thus, in the instance of this film, “like” is enough because of the author’s intent. And thus my love/hate relationship with Joss Whedon, for expanding the Horror Universe dramatically but making me do a lot of work to write this entry. Note that this film ends with the start of an apocalypse, so the end must veer into a divergent timeline. We must presume in the main Horror Universe, the virgin shot the fool. And if you haven’t seen the movie, that last sentence probably seems very bizarre. This film has been referenced as fictional in South Park, The Cinema Snob, Scary Movie 5, and Doc of the Dead. It is also paid homage to in Red Dawn when Chris Hemsworth and his friends once more wind up in a cabin in the woods. The film has also been spoofed in Robot Chicken and Scary Movie 5. 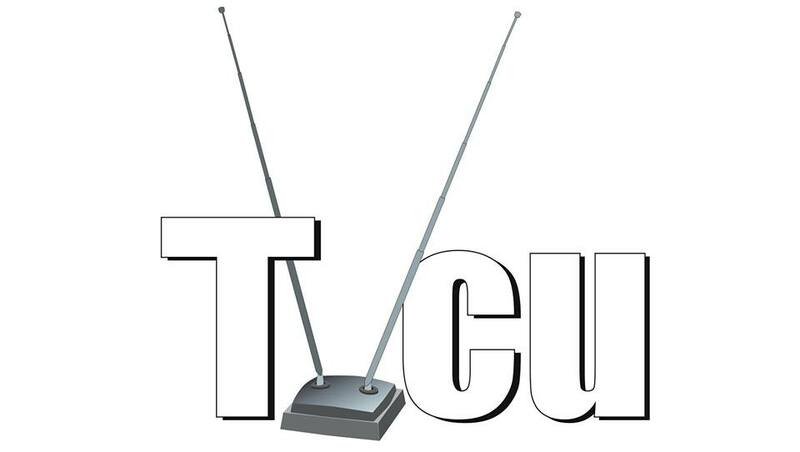 Exciting New Announcement: TVCU Podcast!! !